Special In-House Party Events and Off-Premises Catering available at your location 7 Days a Week. For more information, call our Banquet Manager at 609-337-1125 for dates and times available that will suit your requirements. Spigola can accommodate any size gathering for any occasion to suit your needs. Our private dining room is available for 42 guest maximum, our large main dining room can encompass several size groups and the use of the entire restaurant is also available for mega-sized events. Excellent food customized to out liking. Nice work e selection. Great service. Becoming a frequent place to meet. Everything we ate was great! Meats and pastas cooked perfectly, and everything well seasoned. The oysters were fantastic! Can’t wait to go back. Had bigger expectations. Service was mediocre, it wasn’t bad, was not the service expected at the price point of this restaurant. Menu needs to be better and food is not horrible but isn’t anything to brag about. We love it here, also love the happy hour. Food is always outstanding as well as a service. Love the delicious food. Our appetizer of fresh fried mozzarella was the best I’ve had. The fish over quinoa and roasted peppers was so delicious and beautifully prepared. Luigi our server was knowledgeable, friendly and professional. Always a lovely experience at Spigolla. The best garlic bread I've ever had - which is complimentary. Tender veal parmesan with good pasta choices. Lots of choices on preparation of the veal. It would be great if they included one that combines Veal and eggplant parmesan as many italian restaurants do. The cappelini was very good but could be just a more al dente. Very nice escarole and bean side dish. Overall very good! Excellent Food & Excellent Service! Very warm & comfortable environment. SPIGOLA is my favorite in Hamilton Twp. I drive in from Brielle and have always enjoyed dining here and will continue to do so. Our calamari was the absolute best we've had, tender, crispy and very hot and the sauce is amazing. Veal Saltimboca was good but the prosciutto was very very salty. Our server was the absolute best you have, she is the sweetest, most courteous and go out her way kind of person I want at my table, she is amazing. Thanks so very much for adding to my Birthday weekend. See you soon. Our meal was excellent as was our waitress. It took a tad too long for our food too come out from the kitchen. Our waitress did keep coming by to tell us that our food was cooking & should be out soon. I never felt uninformed or neglected. My only complaint was that we had a great waitress but I wish she didn’t wear so much perfume, it was overpowering. The food was delicious. Prices were high, so just an ok value. Service was very good. The food is always delicious. Aimee and Sam and Tyler and Matt are always helpful, friendly and do a terrific job behind the bar. We’ve had several parties there and highly recommend!! Nat and Mike are always accommodating! Happy hour is always a great value. The ambiance is like being in Manhattan or Philly. This is my second time to Spigola and would go back again and again. The atmosphere is wonderful and the inside is beautiful. The restaurant is set up in a great fashion. The food is sensational and everything is outstanding. I will continue to dine there. We’ve been eating here for years. There’s a new chef and he’s doing a fantastic job. We had a steak special and it was delicious. The special octopus appetizer was scrumptious. The grilled bread was great....light on the olive oil and plenty of roasted garlic. The arugula salad was dressed just right.... not swimming in dressing and very tasty. We will continue our weekly visits for sure. We especially love the oysters at Happy Hour. The wait staff is always friendly. Early Valentine’s Day dinner. Started off at the bar but it was freezing cold there so we asked to be seated early at the table it was no problem for them to accommodate us. Dining room was warm cozy and comfortable, dinner and service were great. Will def. go back again. We’ve been dining here for several years. There’s a new chef and he’s doing a fantastic job. I ordered the arugula salad....dressed just right...not swimming in dressing and really tasty. The grilled bread had just the right amount of olive oil... lightly brushed with plenty of roasted garlic. Our cold octopus appetizer and steak special were perfectly cooked and delicious. We especially love the oysters during happy hour. Will definitely continue to dine here weekly. Favorite Happy Hour! Justin the bartender par excellence made our experience wonderful. Why aren't more people here at this fabulous Happy Hour?? We had a gift card and tried this for the first time. Very friendly service, good customer service. Thought it was very pricey for the meal served, would recommend it for special occasions. My husband and I had dinner at Spigola this past Saturday evening. Once again our dining experience was delightful. Because my husband is recovering from a total knee replacement he is more comfortable sitting in a stool rather than a regular chair. We asked to sit at one of their higher tables and they were more than happy to accommodate us, even though the table was for a party of four. I had my favorite, chicken francaise, with penne pasta in the francaise sauce. It was delicious and the portion was large enough to take half of it home. My husband tried the octopus salad, which he loved. We will continue to go back to Spigot for a wonderful dining experience. The service was outstanding. We had reservations and were seated immediately. Loved the background music. Our Server Kim was congenial and attentive. The fresh baked bread with cloves of spreadable garlic was a good start followed by Giardino Salad. I had Chicken Parmesan (very generous portion) and my wife had Pan Roasted Salmon. Both were cooked to perfection. That left no room for desert. We shall return. Excellent as always. The service and food are always top shelf. Excellent food, excellent service! Staff was very friendly and food was very good. Appetizer special (crepe/seafood) was delicious, but over priced. The food was excellent, The Chef prepared meals custom tailored to my families tastes and needs. Everything was fresh and delicious. Never again! We are regulars who will never return. After sitting for 2 hours on New Year's Eve, ignored by a waiter who knew nothing about the wine list or menu, we left. Ended up eating cheese steaks at a local pub at 11 pm. No apologies.The restaurant was only half full by the time we left. Private messaged the management the next day but never heard back. A restaurant that does not care about it's regulars is a restaurant I don't want to spend my money at. Food was fantastic from the bread to dessert. Waiter was friendly and had a good sense of humor. I had the stuffed chicken breast and it was a 10! I would go back and certainly recommend to friends and family. Wonderful New Year's Eve! The menu was well thought out and the surf & turf was excellent. 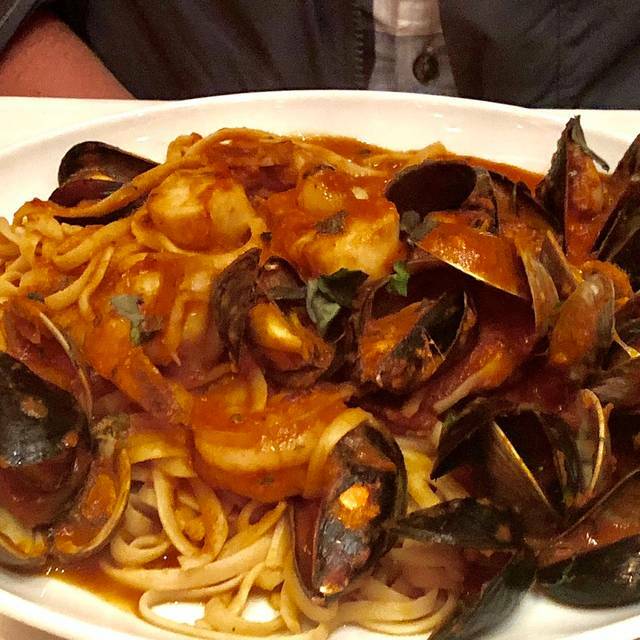 The seafood pasta with marinara was prepared to perfection. Even with the New Year's crowd the service was terrific as always. 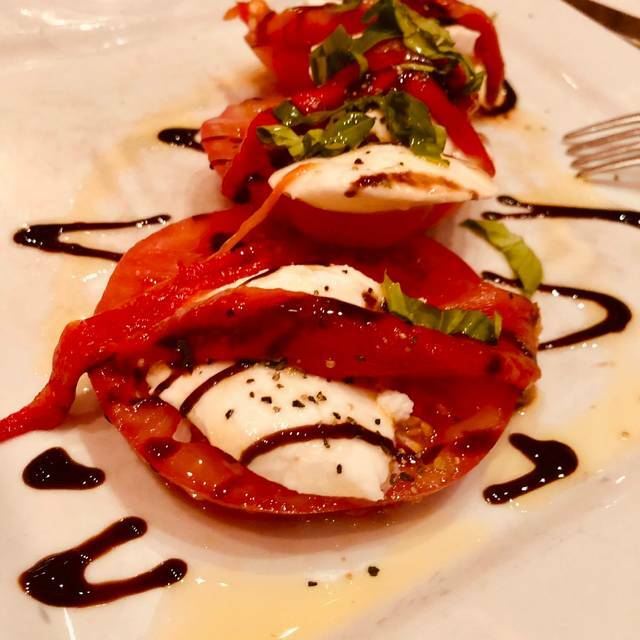 Spigola was a great place to have the last dinner of 2018! We decided to go for New Years Eve. I’ve eaten here a few times so I knew what it was like. We made an initial reservation for 4 and when my sister decided to come I quickly called and asked for additional seats. Mike was kind enough to accommodate us since it was her first NYE without her husband. We arrived a little early and while the place was busy it wasn’t overwhelmingly crowded which I was glad to see. Once we were seated we waited a little and finally had our waiter come by. The menu was fixed which was ok because there was plenty to choose from. The disappointment came after our appetizers- we sat for a very long time waiting for dinner... too long. My husbands wine glass was taken and he asked for another glass - his 2nd.... we had to remind the waiter. I never was asked if I wanted a 2nd drink.... it was not very good service and that’s unfortunate especially when you’re spending over $350 on dinner for 6 people. Exceptional food, stellar service. Grilled bread with roasted garlic started the meal - yum! Crab scampi flatbread, zucchini fritte and caprese salad appetizers were crowd-pleasers. 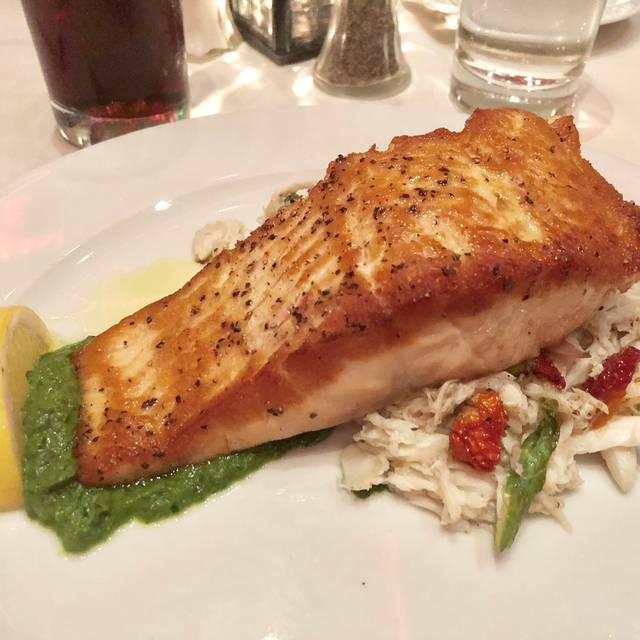 My husband had the Pan-Roasted Salmon and was pleasantly surprised that it was served nestled on crab meat. Grilled Pork Chop Giambatta reported as “stellar” as was the Shrimp Scampi. Linguini Pescatori looked gorgeous and was a healthy portion that generated a hearty thumbs up. Chicken Parm was gently crunchy with a garlic-infused tomato sauce. 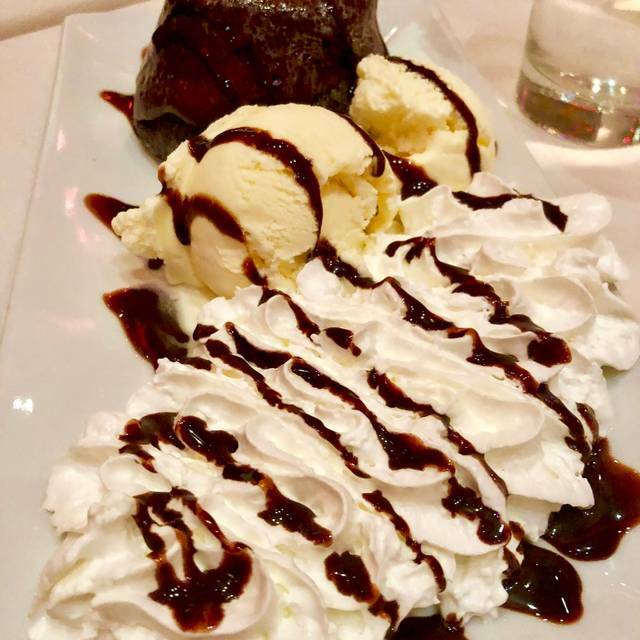 And of course - lava cake for dessert made a major impact. Spignola is very pretty and noise level was loud enough to feel the energy in the place but not so much that we could still hear each other. Parking is easy (it is in a strip mall) and overall, all of us agree that we would definitely return again. Okay location but over price. Another fantastic meal at Spigola. Pork chop parm is always excellent. It was not that great. I didn't like the atmosphere. A lot of regulars who looked at you like you didn't belong when you walked in. My food wasn't good, seafood risotto, had a lot of shells in it. Waiter never even asked if I liked it or why I didn't eat it. Left hungry. Amy is the best bartender. Go just for her but drinks and happy hour specials are fantastic. It just gets better! The rack of lamb was magnificent and the Mrs. loved the barramundi special. The service is always top shelf. Spigola is excellent!